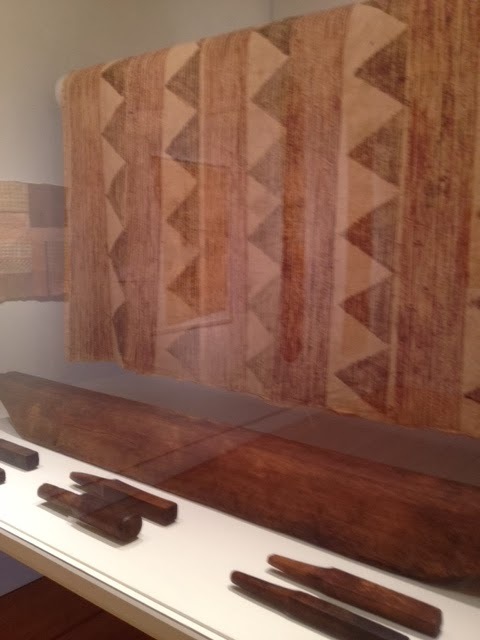 Before the days of grass hula skirts, before Hawaii was “discovered” and placed on paper maps, ancient Hawaiians wore clothing made from the bark of trees. This fabric was painstakingly prepared, carefully pounded, softened, and dyed in intricate patterns. Traditional kapa bedding fabric and pounders on display from the Bailey House Museum.